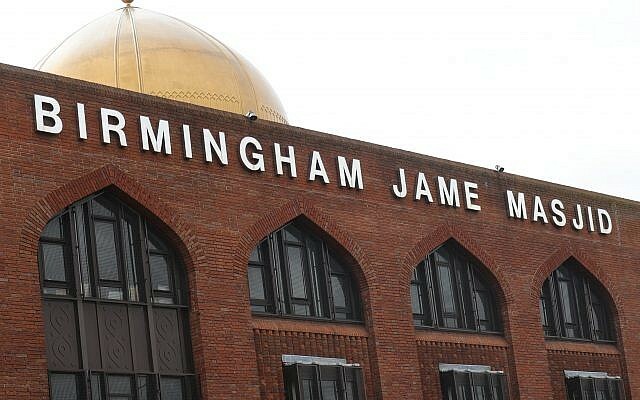 Jewish leaders in the West Midlands and London have reiterated their support for the Muslim community after five mosques in Birmingham were attacked overnight with sledgehammers. 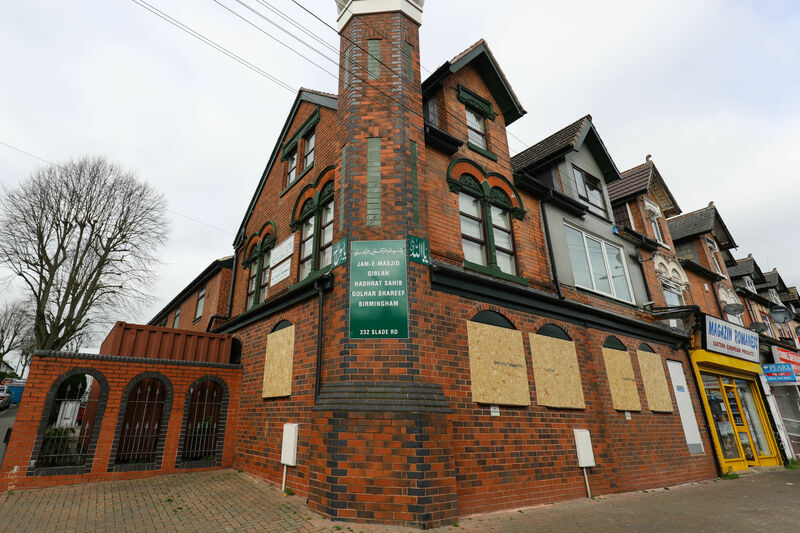 Police officers are still investigating after they were called to several scenes in the early hours of Wednesday morning to discover that the perpetrators had smashed mosque windows in Perry Barr, Erdington, Witton and Aston. Sir Bernard Zissman, the city’s former Lord Mayor and a former President of the Birmingham Hebrew Congregation and the Representative Council of Birmingham and Midlands Jewry, called the attacks “tragic events”. He said: “The Jewish community in Birmingham will share the grief and horror at these attacks with the Muslim community, with whom we have very good relations. 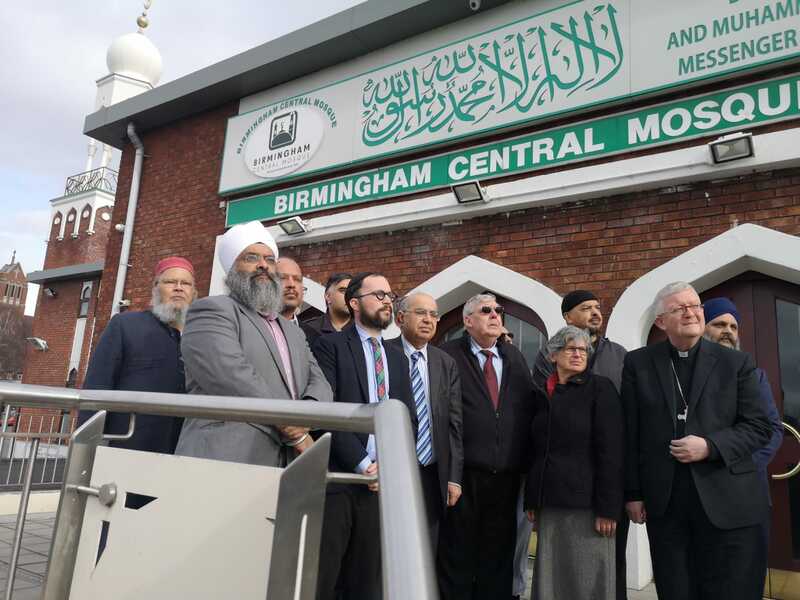 Picture of faith leaders in Birmingham taken only last week, when rabbis and bishops joined imams at Birmingham Central Mosque to stand in solidarity with the city’s Muslim community in the aftermath of the New Zealand massacre. 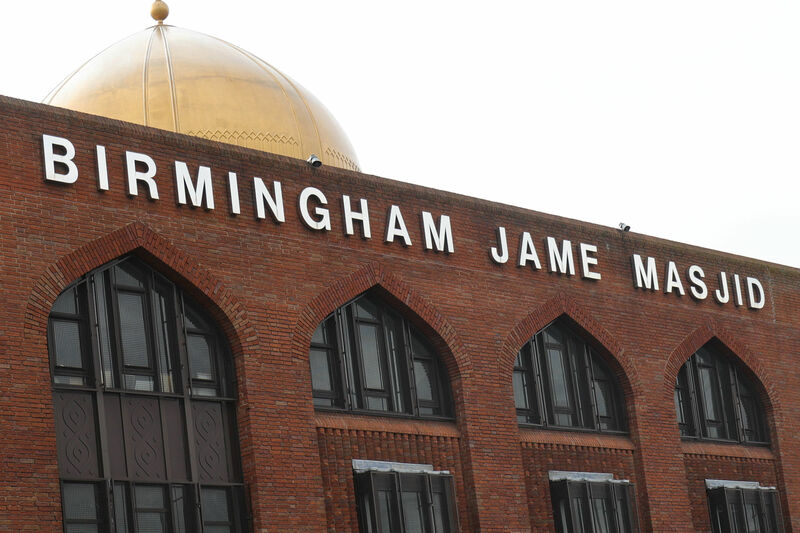 Interfaith activities in Birmingham are jointly led by Rabbi Yossi Jacobs at Birmingham Hebrew Congregation and Zissman said the catalyst for the good relations came after 9/11, when Rabbi Leonard Tann led a Jewish delegation to the local mosque in a show of solidarity during a wave of anti-Muslim feeling. Rabbi Jacobs said: “Our thoughts and prayers are with our Muslim brothers and sisters today. Board president Marie van der Zyl endorsed the call for “societal introspection about the way we talk about Muslims, whether in the media or in politics,” adding that social media companies should do more to tackle sources of radicalisation.